No set typifies the 1930's gum card offerings of war and grit and strife more than the R69 Horrors of War set. 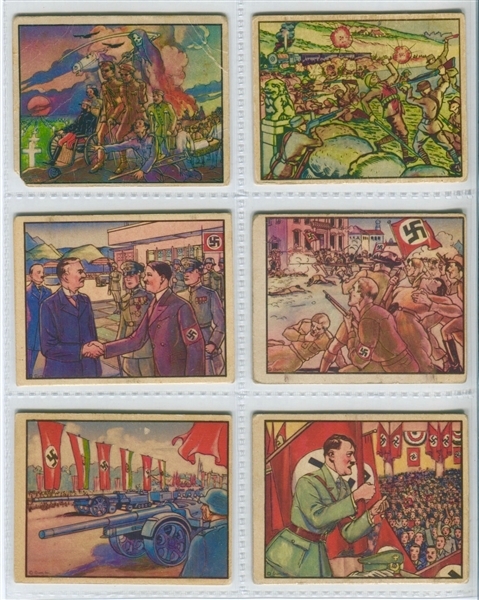 Issued in 1938, before the United States had entered WWII, the set was printed on sheets of 24 cards with 10 sheets making up the base low number offering. 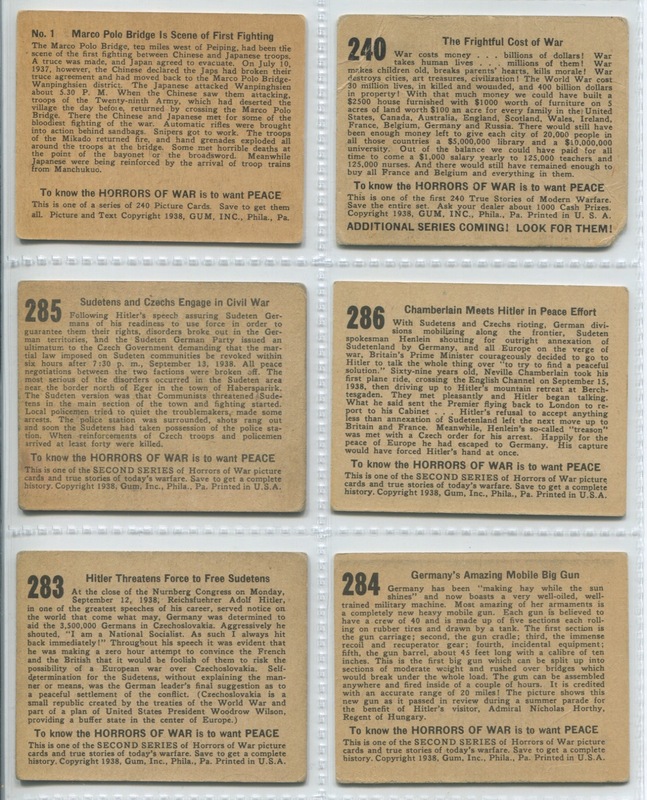 Two sheets or 48 cards made up the high number section for a total of 288 cards. 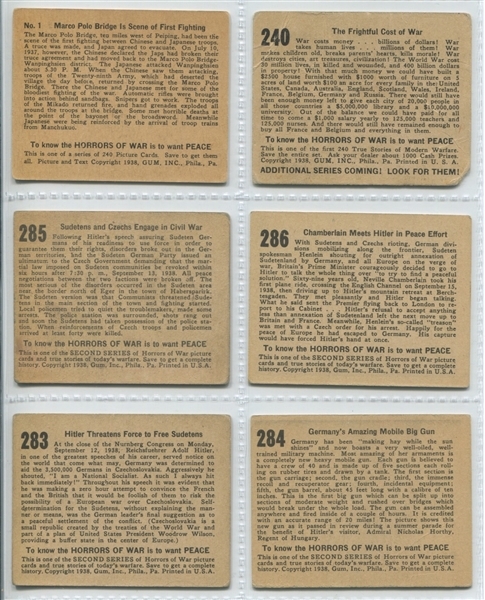 The cards pictured all manner of unspeakable acts from the beginnings of WWII perpetrated by those who would be come the Axis powers of the war. The condition breakdown on this set is as follows: EX condition (10%), VGEX condition (40%), VG condition (30%) and lesser condition (20%).